Watching the ongoing debate between liberal and right-wing pundits on US mainstream media, one rarely gets the impression that Washington is responsible for the unfolding chaotic situation in Central America. In fact, no other country is as accountable as the United States for the ongoing chaos and resulting refugee crisis. So why, despite the seemingly substantial ideological and political differences between right-wing Fox News and liberal CNN, are both media outlets working hard to safeguard their country’s dirty little secret? In recent years, state and gang violence — coupled with extreme poverty — have forced hundreds of thousands of people to flee El Salvador, Guatemala, Nicaragua, and Honduras, among other countries in Central and South America. The mainstream media in the US, however, is rarely interested in the root cause of that reality. Fox News, for example, is tirelessly peddling the offensive language used by President Donald Trump, which portrays the refugees as criminals and terrorists who pose a threat to US national security. At a press conference in October, Trump urged a reporter to take his camera into ”the middle” of a caravan of migrants on the treacherous journey through Mexico, to locate ”Middle Eastern” people who have, he alleged, infiltrated the crowd. In Trump’s thinking, “Middle Eastern people” is a synonym for terrorists. CNN, on the other hand, has labored to counter the growing official and media anti-immigrant sentiments that have plagued the US, a discourse that is constantly prodded and manipulated by Trump and his supporters. 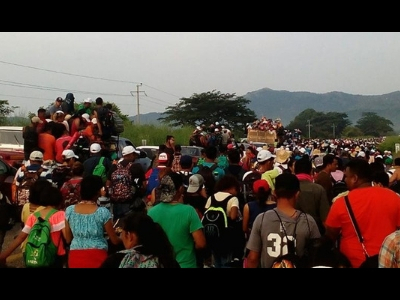 The fact is that the Central American refugee crisis is similar to the plethora of Middle East and Central Asian refugee crises of recent years. Mass migration is almost always the direct outcome of political meddling and military interventions by the West. From Afghanistan to Iraq, Libya, and Syria, millions of refugees have been forced, by circumstances beyond their control, to seek safety in some other country. Millions of Iraqis and Syrians have thus found themselves in Lebanon, Jordan or Turkey, while a far smaller number trickled across to Europe; all sought safety from the grinding wars in their own lands. Blaming the victim is nothing new. The Iraqis were once blamed for failing to appreciate Western democracy; Libyans for their failed state; Syrians for taking the wrong side in a protracted war; and so on. Yet the ongoing conflicts in Iraq, Libya, and Syria are all, in varying degrees, outcomes of military interventions, a truth that does not seem to register in the self-absorbed minds of both right-wing and liberal intellectuals in Europe and the US. Trump has often referredto the Central American migrants’ caravan as an “invasion”, a claim which has been parrotedby Fox News. The US President, incredibly, injected the possibility of having the refugees shot upon arrival. If Fox News lacked the decency to treat refugees as human beings deserving of sympathy and respect, CNN lacked the courage to expand the discussion beyond Trump’s awful language and inhumane policies. Millions of people who had escaped US-instigated wars and military coups were deported back to Central and South America. Two million people were deported during the Bush terms, with 2.5 million being deported under Obama. A terrible situation was exacerbated; violence and want flared even more. To rally his angry and radicalized constituency, Trump waved the migrant card once more, threatening to build a “great wall” and to close “loopholes” in US immigration law. Like his predecessors, he offered little by way of redressing an unjust reality that is fomented constantly by destructive US foreign policy, stretching back decades. Nevertheless, the refugees kept on coming, mostly from Central America’s Northern Triangle region. Without proper political context, they, too, were duly blamed for their own hardship. Considering the lack of quality coverage by Fox News and CNN, this is hardly surprising. Few Americans know of the sordid history of their country in that region, starting with the CIA-engineered coup d’état in Guatemala in 1954, or the US support of the coup against the democratically-elected President of Honduras, Manuel Zelaya, in 2009; or of everything else that happened in between. Indeed, the unhealthy relationship between the US and its southern neighbors goes back to as early as 1904, when President Theodore Roosevelt declared the “right” of his country to hold “international police power” in Latin America. Since then, the entire region has been regarded as Washington’s business. Acknowledging all of this is threatening. If US mainstream pundits accept their country’s destructive role in Central and South America, they will be forced to abandon the role of the victim (as embraced by the right) or the savior (as embraced by the left), which has served them well. The same stifling political and intellectual routine is also witnessed in Europe. 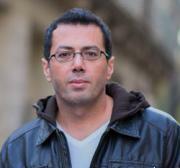 *Ramzy Baroud is a journalist, author and editor of Palestine Chronicle. 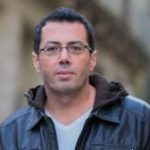 He has a Ph.D. in Palestine Studies from the University of Exeter and has been writing about the Middle East for over 20 years. Baroud is a Non-Resident Scholar at Orfalea Center for Global and International Studies, University of California Santa Barbara. His books include Searching Jenin, The Second Palestinian Intifada,and My Father Was a Freedom Fighter: Gaza’s Untold Story. This article has been re-posted here from TRANSCEND Media Service.